The Natural Products Expo West held at the Anaheim Convention Center in Southern California concluded this past Sunday, March 10, and there was a large contingent of Boulder-based companies. The Expo seemed to be a massively successful event, at least if success is measured based upon attendance and a warm ‘group hug’ buzz. Sure, some T-shirt & blazer LA deal-sharks circled, which somehow seemed hypocritical to the huggy vibe, but that kind of contrast can often add relish and perspective to an event. Over 60,000 people attend and vendors from all over the nation and across the globe are represented. The colossal indoor show is divided into 4 huge exhibit halls, roughly grouped into categories of supplements; ‘lotions, potions, aromas and salves; juices, energy drinks and tonics, and finally food ranging from ginger chews to gluten free pastas to roasted hemp seeds. 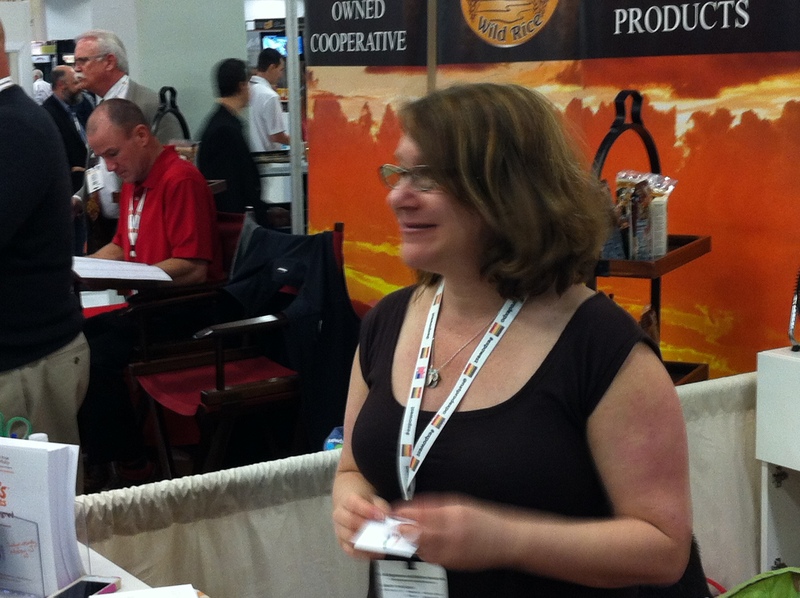 Colorado had several companies on hand, including a few from Boulder, notably Missy J’s Truffley Treats and White Girl Salsa. I tasted several of Jodi Feinhor-Dennis’ (The Missy J) truffely treats, stole a couple of extra for the flight home—sorry Jodi, but the Peanut Butter Crisp samples seemed to leap into my swag bag—and was pleasantly shocked to discover how tasty and nuanced carob can be. 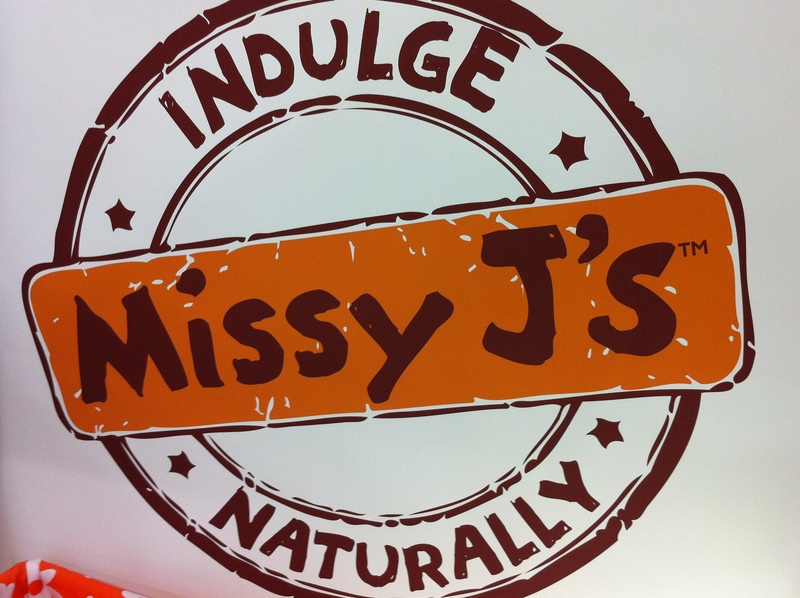 Any company that uses the word “truffley” has to be good, but Missy J’s seems destined for greatness. It was nominated for a Nexty, basically an Oscar for merchandisers at the Expo, and is ramping up to go from the Boulder Whole Foods to 30 Whole Foods stores in the Mountain West. Houston, stand by for ignition. The White Girl Salsa stand had a laid back, almost country vibe, allowing it to rise above the crowd; not an easy feat with hundreds of food vendors vying for attention. Maybe it was the straw hats (can anyone really resist a cowgirl?) or the fact that founder Julie Nirvelli and her crew are all cutie pies, but they drew an enviable river of happy chip and salsa munchers throughout the show. No doubt the salsa was a lure too, but with so much food within easy reach, vendors needed a little extra mojo to captivate passerby. 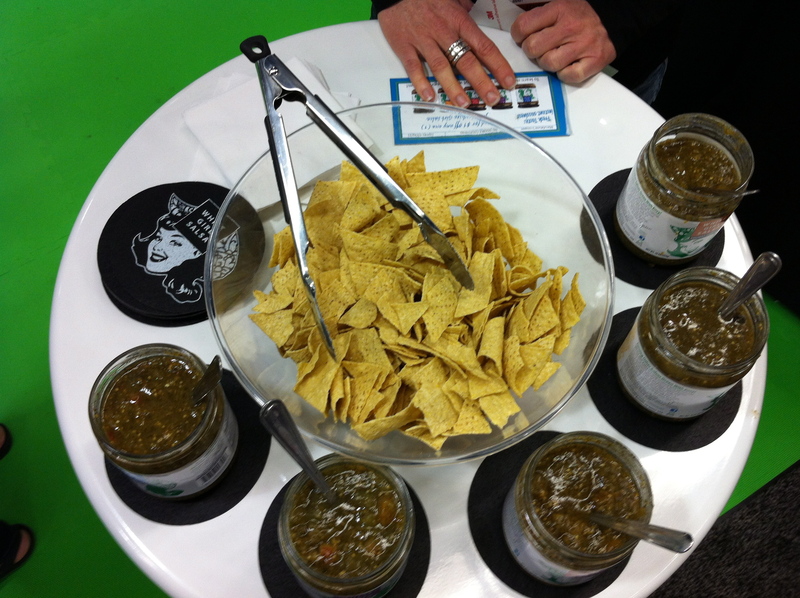 Clearly, Julie’s five salsa flavors have caught on, as WGS is now found in 300 markets across the country. Houston, we have lift off!! I’m pretty sure it’s official, Boulder is a nationally recognized foodie town, and Expo was the perfect showcase for those businesses lucky and talented enough to make it there. But just to illustrate the quirky nature of the natural product crowd, consider this: the French’s Mustard booth had by far the longest line at this fancy schmancy all-natural food show. Why? They were serving up free hamburgers. And those sharks mentioned earlier…seems they eat beef, too. Missy J, here to stay! Another great article by Allan Parr! I wish I could have stowed away in your SWAG bag so I could have enjoyed what sounded like an amazing event. Lucky you! I am super grateful for such a great write up. Thanks so much. You are welcome, though if Missy J’s weren’t so damn tasty and truffley, you might be cursing my name, rather than thanking me. Looking forward to munching more…maybe accompanied by chips and WG salsa! Thanks for the GREAT article – wow, I’m so flattered! EXPO was a blast and it was so much fun to connect with a bunch of other great folks! Thanks, White Girl. The pleasure is mine, and anyone who eats your salsas, I assure you!